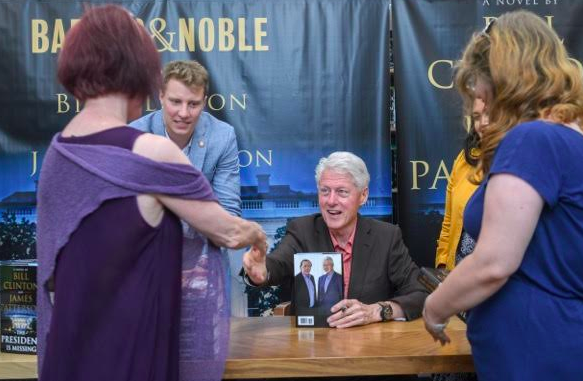 Former President Bill Clinton and writer James Patterson were at Barnes and Noble Tuesday evening signing copies of their jointly-penned book, “The President Is Missing.” The first 500 people who called in received free bracelets to attend the book signing. Clinton has not yet apologized to Monica Lewinsky for using her for his own pleasure while he was in the White House. “I apologized to the world,” said Clinton when questioned about an apology. In that case, the former president was indeed missing an opportunity to show remorse for his actions while leading the nation.